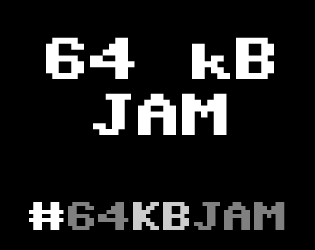 Create any kind of game with total size up to 64 kB! That is a real challenge! Platform: widely used platform like web browser, Windows, Android, iOS, macOS etc. Anyone can vote in this jam! If you have any questions, please create a new topic in discussion. Extremely short metroidvania-esque platformer made in less than 10 hours for the 64kb game jam. You're a good boy, dogger.